Window air conditioners are very popular since they are easy to setup and start cooling a room quickly. There are many available from units that have manual controls to new Smart WiFi units. Smart Window air conditioners have started to be introduced including WiFi and Voice Controlled with Alexa. While there is is not a huge amount of smart models there are some available. 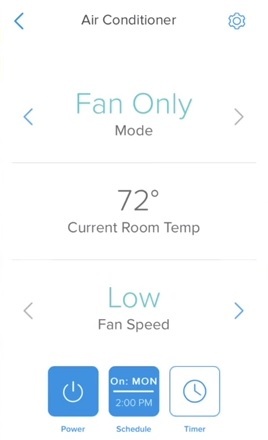 Most all Smart Window A/C units will be controlled with an App and will usually be Android and Apple iOS compatible. Be sure to read the specification on a unit to see its compatibility. 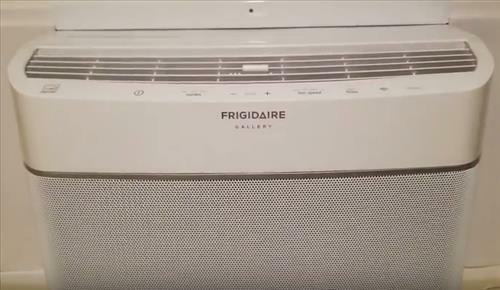 Frigidaire has introduced a few Smart Window A/C units including this unit with built-in WiFi and Alexa controls. It is a 8,000 BTU 115 Volt unit rated to cool a space up-to 350 square feet. The design is new and fresh compared to the old classical box models. An App is used to control the unit and has a lot of control features. The setup is easy by pressing a WiFi button on the case and and connecting to it with a smartphone. Frigidaire also makes larger units that cool a bigger space. 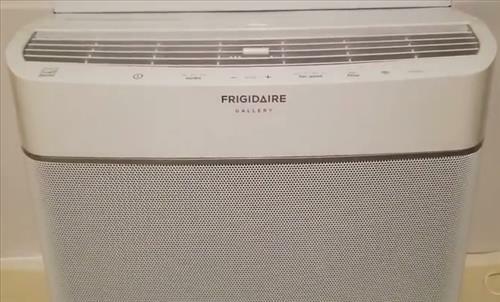 It also has WiFi built-in and are controlled from the Frigidaire App. Frigidaire has a few different sized models to fit most any scenario. LG is another top A/C manufacture including the LW1217ERSM WiFi unit. It is a 12,000 BTU 115V Volt unit with 3 cooling speeds. An App is used to control it that is both Apple iOS and Android compatible. Kenmore makes the 04277087 that is also a Smart A/C Window air conditioner that has built-in WiFi and works with Alexa. It has a 8,000 BTU capacity that is rated to cool a space 300-500 square feet. Controlling a Window Air Conditioner over WiFi is easy to do with the right unit. Most all will work with Android or Apple devices, be sure to check the features. Often this includes voice controls with virtual assistants such as Alexa and from a smartphone App. Many apps can even control a unit when away from home turning it on or off as needed. Even though the unit have wireless built-in they will also have manual controls on the case and most often a remote. Also be sure of the measurement needed to be sure a unit will fit correctly.